The London Olympic and Paralympic 2012 games has come and gone, but what significance has this “Worldwide Sporting Festival” had on London and London on the world in general? Warmth: London has a diverse range of people and cultures, and more than 300 languages are spoken within its boundaries which makes it an automatic “homecoming” for foreign visitors, tourists and participants in the London 2012 Olympic and Paralympic games. People automatically identified with not just their own people, but took time to learn about other cultures as well. All over London, there were fairs, stands and showcasing of different cultures and talents which made London 2012 Olympic and Paralympic games one of the most multicultural Olympic games of all time. London is definitely a “World City”…literally ! Unity: There was definitely a sense of unity within team GB which transcended beyond race, religion, demography and other social measuring parameters. This sense of unity was also shared by the general populace with people adorning team GB tops which made them feel like a part of something significant, and special. National Pride: There was as much ardour and gunning for Mo Farah as well as Bradley (Wiggo) Wiggins, for David Weir (Weir-Wolf) as well as Jessica Ennis. Everyone was a full or part team GB fan. Ability redefined: Ability redefined in terms of ability to win,victory was victory irrespective of whether it was the Olympics or Paralympics, number of team medals not necessarily by whom. Sense of Community: With the Olympic and Paralympics torches going through different towns and boroughs around the U.K, everyone had a sense of belonging that comes with being part of a community. The roads were lined with children, adults and even senior citizens cheering away as the Olympic and Paralympic torches were displayed by everyday people who have contributed one way or the other to their community. Financial gains: Considering there is an ongoing global economic crisis the world over, this period was not quite a bad time for pubs, coffee shops, hotels, cabbies, restaurants and so many others individually run businesses in the UK to “Smile all the way to the bank” during the games making more than they do on a regular day…Not bad for a month`s job then eh? Altruism: Londoners were asked to kindly take public transport instead of driving all around the city during the games to ease congestion within the Olympic zones and guess what? They did :)! A survey showed that visitors clearly admitted that Londoners were very warm, and eager to point a lost visitor/tourist in the right direction. Fun & Entertainment: The opening ceremony showcased UKs talent in art, music, history and much more, as well as a mixed spectrum of colours emanating from the fireworks which could be viewed for miles on end. Contrary to a lot of opinions about the stereotypically “Conservative Britannia”(See our blog titled “Stereotypical nature of man”),even the monarch herself showed the world how “cool britannia” she was. Also, there was, no doubt , a love for the best signature poses-With Usain Bolt`s archer pose, Mo Farrah`s overhead “M”, and even Yohan Blake all recognized worldwide. The paralympic closing ceremony ended on Sunday the 9th of September with a bang. We had A-list celebrities like Rihanna, Coldplay and Jay-z performing live with 7.5 million viewers glued to their T.Vs. 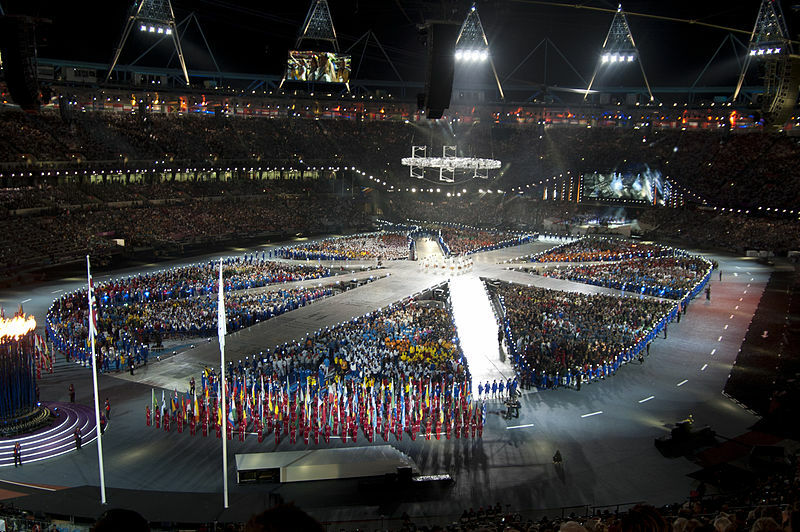 The London Paralympic games has been acclaimed to be the best paralympic games yet! 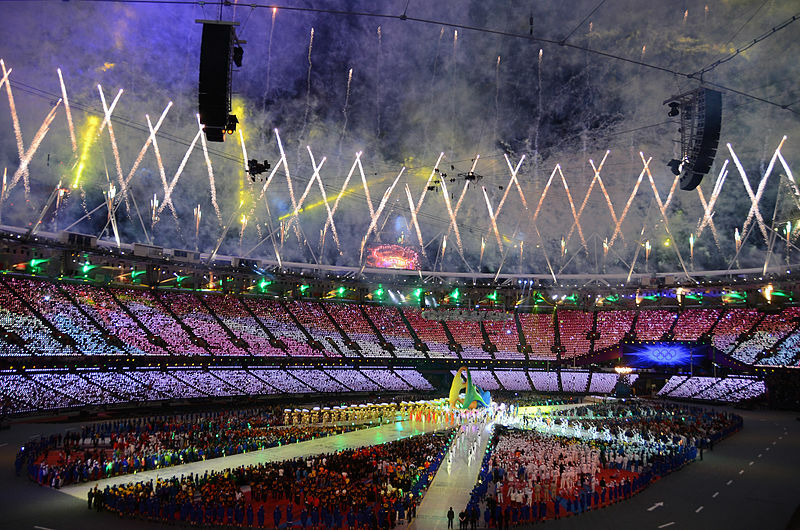 The greatest show on earth(as London 2012 has been coined) ended in a grande finale. Please enjoy the video attached. Posted on September 10, 2012, in worldwide and tagged 7.5 million viewers, ability redefined, altruism, art, best paralympic games london 2012, borough, bradley wiggins, cool britannia, david weir, demography, entertainment, fiancial gain, fireworks, fun, history, jessica ennis, london, london 2012, london 2012 olympic and paralympic games, london is the pace for me lord kitchener, mo farah, multicultural, music, national pride, olympic medal london 2012, olympic torch, olympic zones, paralympic medal london 2012, race, religion, sense of community, team gb, team gb fan, town, uk talent, unity, usain bolt, victory, warmth, weir wolf, wiggo, world city london. Bookmark the permalink. Leave a comment.